I have had several offers over the years to join book clubs with friends and I always turn them down. I politely declined the invitations because I'm protective of my free time and after spending my formative years being told what to read, I want to read what interests me. I have sat through too many happy hours or brunches with friends griping about the crummy book that they are reading for their club. In the immortal words of one Ms. Sweet Brown, "Ain't nobody got time for that." 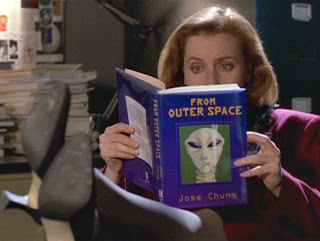 With my new Samsung tablet in hand, I'm starting my own book club. Oprah need not worry, since my club has only one member - me. As I finish a book, I'll share my thoughts about it and maybe encourage you to read something different. 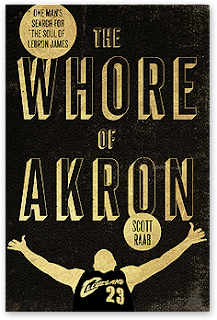 It seemed appropriate to start with a book that no book club would touch - Scott Raab's The Whore Of Akron: One Man's Search For The Soul of LeBron James. I downloaded the book for my trip to Goodyear for Tribe spring training. It was the only Cleveland story available at my local library for download, and I felt it was time that I read it. If you have read my blog for any period of time or follow me on twitter, it will become quite clear to you that I am less than fond of the one that I refer to as LeFoolio. Let me say, I ain't got nuthin on Scot Raab. Raab is a native Clevelander that wears Cleveland sports misery on his very soul. He is proud of his Chief Wahoo tattoo and carries his 1964 Browns championship ticket stub like a badge of honor. To outsiders, he is trapped in the downward of spiral of sports fanaticism. To Clevelanders, he sounds about right. The Whore of Akron reads somewhere between a painfully stark look into Raab's life of addiction and family drama and an Enquirer styled biography of James. His anger towards James, the man that ripped a championship out of the grasp of Clevelanders, is difficult to read. Through Raab's alternating thoughts of a career-ending injury to James and his desire that his son never inherits his fanaticism, he reflects back to the reader what sports means to Cleveland. Especially for those that remember what a winning team is. There is an entire generation of fans that only know the Kardiac Kids as an ironic hipster t-shirt. I just threw up a little typing that last sentence. If another Cleveland team won a championship, I don't think this book would have mattered. But, we haven't and it may or may not have been James' fault. Maybe if we were a city of winners, it wouldn't matter so much that James never loved us like we loved him. The one thing for certain I can tell you, if you ever wonder whether or not sports matter, I would say that it a responding yes. Recommendation: Required reading for Cleveland sports fans or those that want to understand them.